The below-mentioned areas are just indicative. The editorial board also welcomes innovative articles that redefine any Science and Technology field. The Journal operates a peer review process and promotes blind reviewing. The acceptance or rejection of articles will be decided by the editorial boards based on the review results supplied by the reviewers. There are no communications between authors and editors concerning the rejection decision. Authors whose papers are rejected will be informed with the reasons for the rejection. 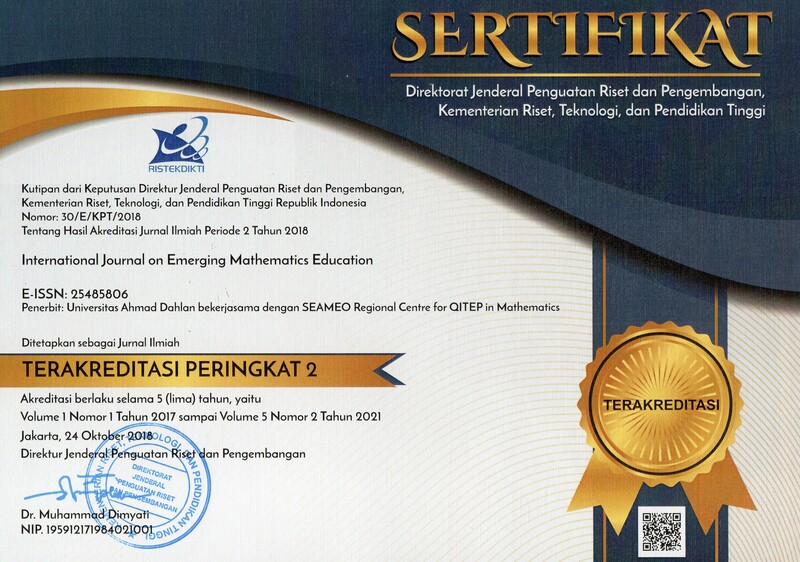 Jurnal Pendidikan Informatika dan Sains will be published two times a year in the following months: June and December. Every issue consists of at least 6 articles and therefore every volume has at least 16 articles/reviews. This statement clarifies ethical behavior of all parties involved in the act of publishing an article in our journals, including the authors, the editors, the peer-reviewers and the publisher, namely IKIP PGRI Pontianak. All submitted papers are subject to strict peer-review process by at least two Nasional Reviewers that are experts in the area of the particular paper. This journal allows reuse and remixing of its content, in accordance with a CC BY SA. This license lets others distribute, remix, tweak, and build upon your work, even commercially, as long as they credit you for the original creation.